Is a New Chrysler Crossover Coming Soon? We’ve been hoping that Chrysler would provide a crossover model for some time now, and it looks like dreams do come true. Currently, Chrysler’s lineup consists only of the strong selling 300 sedan and the always popular Pacifica minivan, so a crossover would be ideal and would attract a whole new segment of buyers. We at Eastgate Chrysler Dodge Jeep Ram are here to keep you up to date on all the latest industry news, and it does appear that Chrysler has a new crossover coming soon. Rumor has it that the new crossover will be in production by late 2019 and hit showroom floors in mid-2020. That will be here before we know it and we can’t wait to take one for a spin. 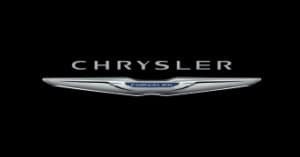 Chrysler says that they intend to build the crossover at one of it largest plants, located in Windsor, Ontario, Canada. Executives said that they were going to introduce a crossover sooner but then decided it was a better idea to continue the Dodge Grand Caravan instead. Chrysler didn’t offer many details about the vehicle, but did say that it would be a third-row model. Presumably, it would probably have the same engine as the popular Pacifica, making it easier to manufacture. This would give the new crossover SUV a 3.6-liter V-6 engine with 287 horsepower and 262 pound-feet of torque. There is also some exciting talk that the new crossover could be a plug-in hybrid. With a lot of the design work already completed during the Pacifica’s development, it wouldn’t be too hard to adapt the PHEV powertrain to the new Chrysler crossover. To date, plug-in crossovers have only been offered by more luxury brands, so this crossover could be in a class all of its own. Chrysler doesn’t mind standing alone though. It wouldn’t be the first time they raised the bar and set a new standard for the industry. In a recent interview, Chrysler executives confirmed the rumors. “It’s there. We have the car designed and we’re ready to go,” said CEO Sergio Marchionne. He established that the new crossover would be based on the Pacifica platform. It will apparently be a plus-size, with three rows of seats. “The platform is ready, and the plant can take it. We can probably get it up and running in 18 months,” Sergio Marchionne said. Everyone is anxiously awaiting more information, but in the automotive industry timing is everything. Marchionne has said they have more details to work out and will give us more news once the design team and marketing team agree on a timeline. One thing is for sure, it will be an amazing vehicle that will be representative of all Chrysler automobiles. It will be safe, reliable, and stylish. We can’t wait to get our hands on one, and go for a drive. Undoubtedly, it will be very popular as this type of crossover is long past due. 0 comment(s) so far on Is a New Chrysler Crossover Coming Soon?